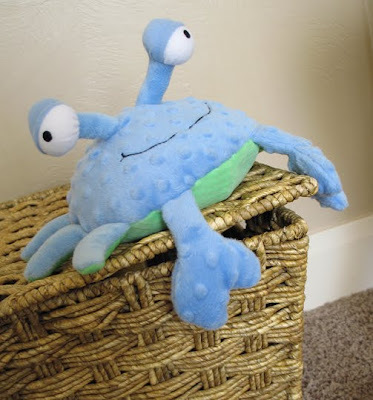 And finally -- Helloooooooo, Crabby Blue! Linking to loads of before & afters and beautiful projects at Metamorphosis Monday and Made It Mondays and Make it for Mondays and It's So Very Creative and The DIY Show Off and The Inspired Room. 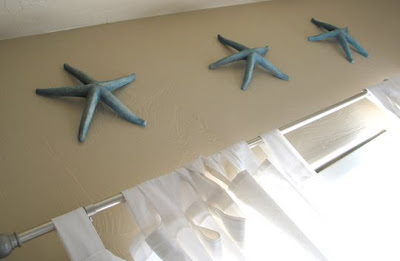 I love love love all the beachy things...especially the starfish above the window. What fun to decorate! The surf board is awesome. What a great find and a great use! Love it completely. This has to be the cutest bedroom ever! I just love the whole room! The surfboard is just fabulous. I LOVE it! You did a super job painting the surfboard. Love all the accessories you have in the room too. The room looks great. Everything turned out wonderful! 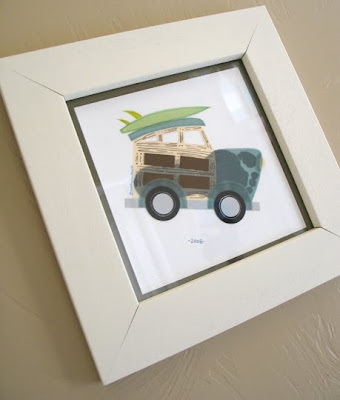 What a great idea for a boys room...LOVE it...and the surfboard turned out so great! Nice board. And yes I would go for distressing the blue a bit too. As you said you can always repaint, but I think it would look great. The rest of the room looks very nice too. You have one lucky surfer dude. So cool. Love ALL the decorations! Thanks for stopping by come back anytime. I'm having a party on Thursday called "Get your craft on" and I would love for you to link up. 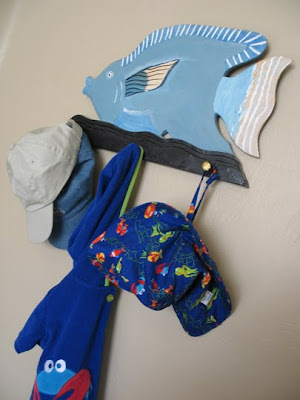 LOVE your son's beach theme room - I'm having a giveaway right now that would be pretty cool in his room! 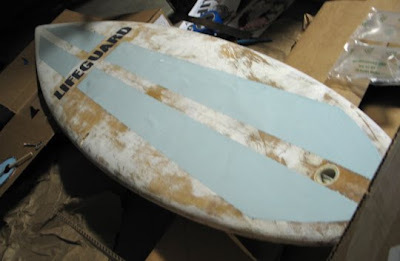 The surfboard turned out great and I LOVE that footprint art. This is such an awesome theme! I would say to make the lettering fit with the rest of the surfboard. You did a great job with your decorating! What a lucky boy! 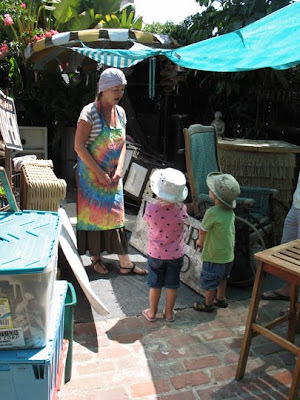 That looks like a fun antique store. And I love what you did with the surf board...too cute. diverting to read. I think that's entire lot! Thank you Forgive me, my English Language is not very adept. 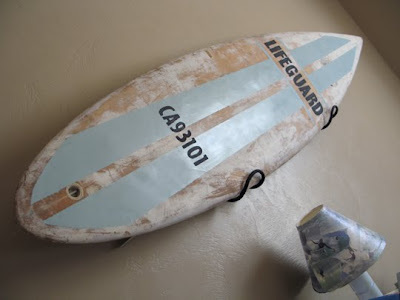 Love the beach theme and that surf board was an awesome find! I really love that surf board! Great find, the room is super cute! I LOVE that. It looks amazing. This is on my favs list that will be going up in a bit.